The original mustang turn signal/hazard/parking lights/headlights circuits seemed way to complicated so I decided to replace them. I also wanted to use dash mounted toggle switches instead of the bulky mustang units. I stumbled across Engineer Ed's black box on the cobraforum and decided to make one. 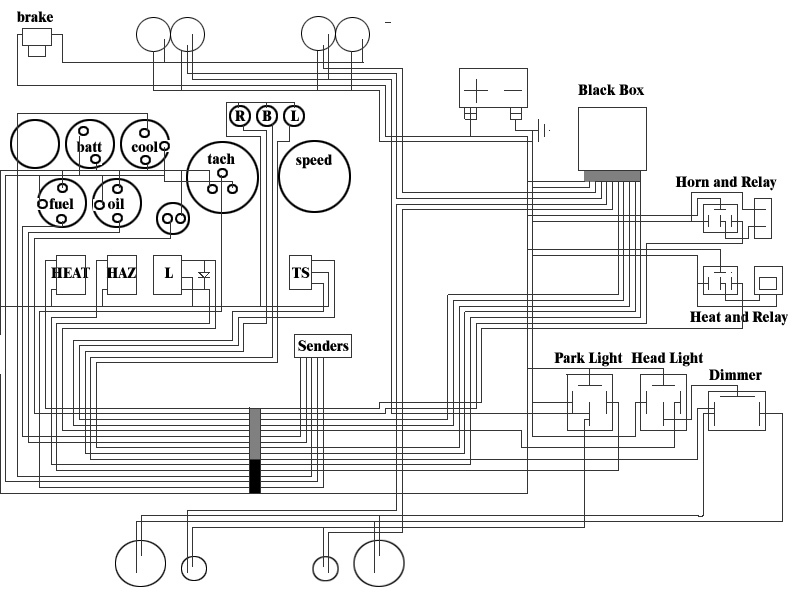 It basically simplifies the entire illumination system of the car and makes it so if something goes wrong electrically, you can actually figure out how to fix it. I spent at least a week going from buzzer to flasher to relay to day/light illumination etc. and i still couldn't figure out how the original system worked. I spent a good three weeks on the new box (only because I didn't know a relay from a diode and I had never done anything electrical before). If I were to do it again I could do it in about two days. I'm going to show you how to do the same. 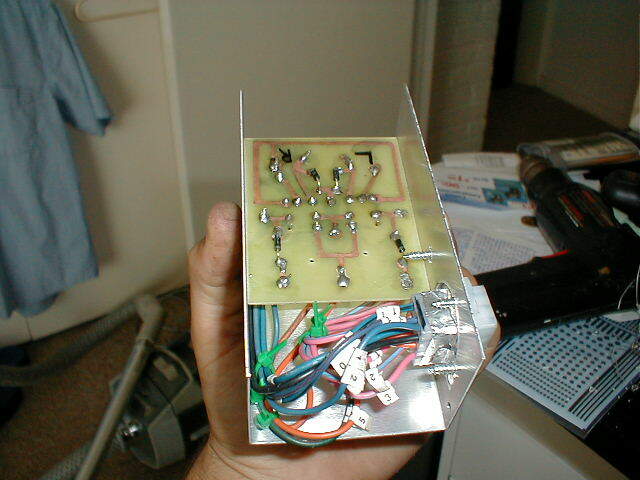 I just hope you have a radio shack nearby...In the end, my physical black box only contained the turn signal circuit. But, I still used all the relays from the schematic, I just didn't mount them in a box. So this is actually only a how-to on the actual box that I made. Did I mention the black box also eliminates about 1/10th of the wiring in the car! NOTE: Please read the whole page before you decide to do this. 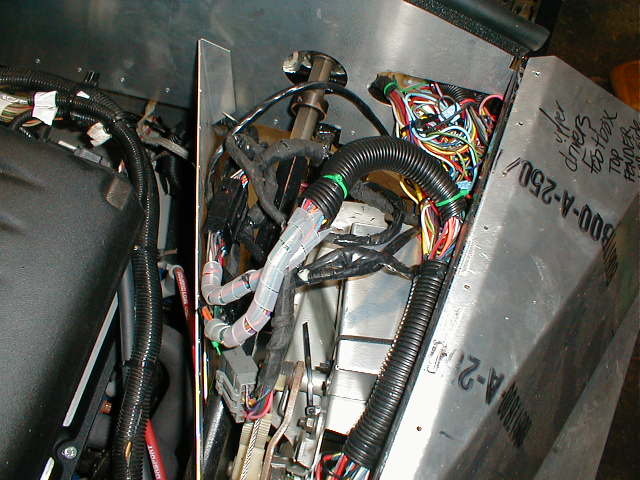 Actually using the box requires extensive work to your wiring harness and a good understanding of which wires go where in the harness. Don't even try it without a wiring diagram for your year. 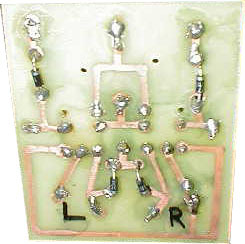 The best way to make the turn signal circuit is to make a circuit board, mount it in a metal box and connect it up to your existing wiring. Its cheap, easy, fun, and basically unbreakable. 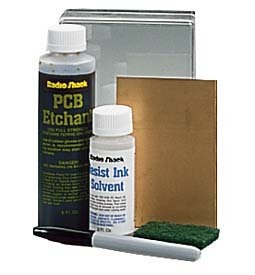 Go to radio shack and get their pc board kit(276-1576). Its like $14 and comes with everything you need except the relays and diodes. You will need to special order the relays(900-2398). The diodes(276-1101) you can pick up at the store-50V 1 amp. Get four (a couple extra don't hurt). 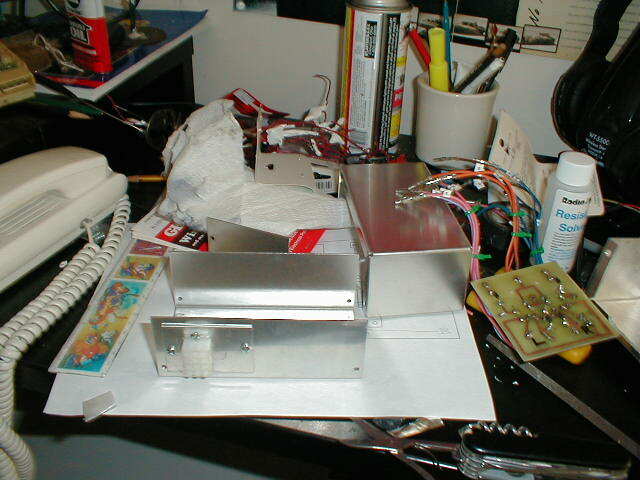 I used a 2 3/8 X 2 1/8 X 1 5/8 aluminum project enclosure(270-235) but you can use anything you find there that will fit. For connectors I used the nylon 12 pin male and female connectors they sell at every rs store. Actually making the circuit board is a matter of following the directions with the kit and following my included schematic. A couple of notes: Before you start, trim the board to fit in your box. Mine was 3.25" X 2.75". I also drilled the holes before I etched even though the directions have you drill after. I used trace paper and cut out a rectangle the same size as the board. I traced the circuit with a pencil, taped the trace paper over the board, and drilled the holes through the paper into the board..
After you etch and clean it you should look something that looks like this. 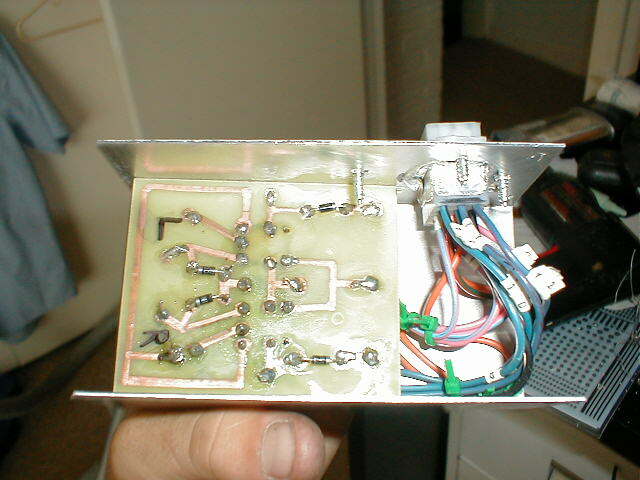 You can then solder in the two relays and the four diodes like the picture shows. Make sure to test all of your pathways to make sure none touch. Also, make sure your diodes are going in the right direction. I put one in backwards and it was a pain to desolder and flip it around. Next solder the wires to the drilled holes. Cut all the wire the same length so you keep it neat. I labeled all of them with numbers. 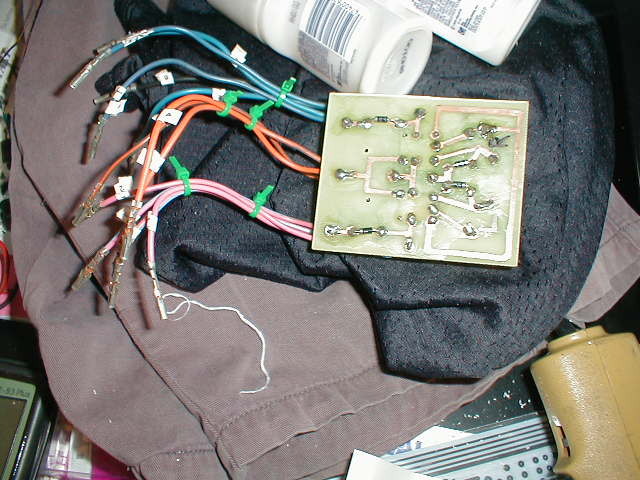 Finally, you will have to figure out some way to connect the wires from your box to your harness. I couldn't find many connectors around so i had to make a way to connect the rectangular radio shack connectors to the side of the box. This picture shows how I did it. I simply found a piece of scrap aluminum, cut out a square the same size as the connector, then drilled a circular hole in the box and mounted it. The picture describes it better. I used some press lock strips to secure the board to the box, but superglue works fine too. Once its secured, you can connect the wires to the connector and close up the box. I installed the box on top of the pedal box with some more press lock strips. After I ripped out most of the original turn signal wiring from the harness, I found all the wires I needed and connected them with the male side of the 12 pin connector. Click Here for More Wiring Pictures!